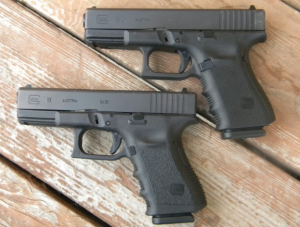 The two latest versions of the Glock 19 are not what you would call ‘new’. The Gen 4 has been around for about six years now, and the Gen 3 was introduced in 1996, but people still ask me which one I would recommend, as both versions are readily available on the market. Many folks either love Glocks or hate them. Generally, those that don’t like Glock pistols don’t like polymer “plastic toy guns,” period. But those that do love Glocks, such as myself, often own several of them. Sure, they may not be the most attractive handguns on the market, but there is something appealing even in their utilitarian look to me. It is no secret that my family loves Glocks – between me and my relatives, the members of my family own every Glock model several times over! If you’re looking into buying a Glock, 19 or otherwise, you must have heard some good things about them. The Glock 19 has had some impressive iterations over the years, and we will compare two of their very best in this, our Glock 19 Gen 3 VS Gen 4 Review. Most people are familiar with at least one of the models of these popular revolutionary polymer-frame pistols. The reason they were considered so revolutionary when they were introduced in the early 80’s mainly comes down to their striker fired, no-external hammer design, and the fact that they were one of the first polymer-framed handguns to be marketed in large numbers (the Glock 17). Despite no longer being unique in these aspects; the availability and variety of holsters, OEM replacement parts and upgrades, and the ability to customize the Glocks to a shooters specifications and needs, have kept them popular and in demand throughout the years. Glocks are all striker-fired pistols, without external hammers. Instead of external hammers, the firing pin is “cocked” by an internal spring until the trigger releases it to strike the cartridge. When you rack the slide of a Glock to chamber the first round, the firing pin is only partially cocked. That provides a degree of safety because the gun can’t fire from the partially cocked configuration. When you pull the trigger, the cocking operation is completed until the backward motion of the trigger releases the fully cocked striker. With the striker-fired design, every trigger pull will feel the same. As with all Glock models, there are no external manual safeties. This means that all Glocks can be quickly drawn and employed if deadly force is required without the shooter needing to worry about flipping the safety on or off. Assuming there is a bullet in the chamber, just draw, point and you’re ready to fire. 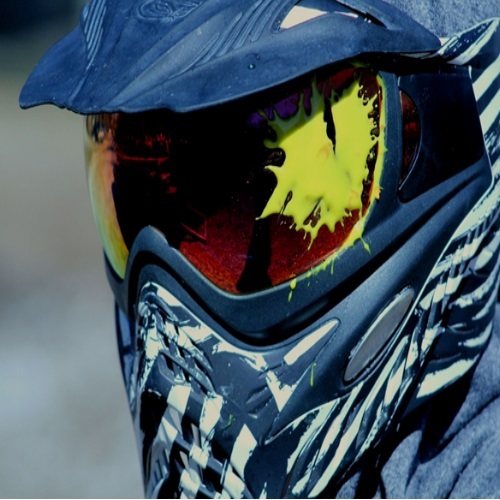 If you’re ever in a real-life blood pounding situation with adrenaline shooting through you, you’re going to want to have a gun that is as simple and direct as possible to operate. The Glock 19 trigger is part of the Glock Safe Action Pistol safety system. Depressing the center part of the trigger releases the safety and allows the pistol to be fired. This is meant to reduce the risk of accidental discharge. Second, the Glock has an internal firing pin safety. This pin will keep the striker from launching itself forward. 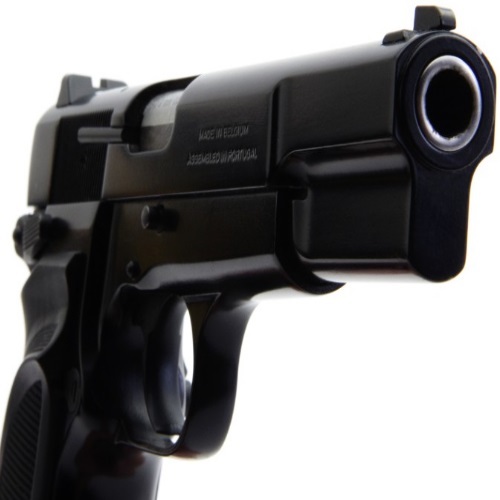 Third, there is a drop safety, which means the gun may be dropped from a significant height, with a round in the chamber, and this safety will ensure that the gun does not discharge. Trigger pull is about 5.5 pounds on all Glocks and can be easily increased or decreased depending on your preference by changing parts readily available from Glock. Without a doubt, cleaning and maintaining Glocks are one of their major selling points: Because there are so few parts, the field stripping is really quick. Fewer parts also mean fewer malfunctions and less hassle. The less time it takes to maintain, the more likely you are to maintain the gun better and more frequently; so you will be dealing with fewer stoppages and problems. The Glock is the definition of rugged and low-maintenance: you can fire it dry or simply oiled since the slick surfaces of polymer don’t seem to have any wearing effects on the steel slide. I personally do add a little lubricant on my G19 but it is not critical on the Glock. 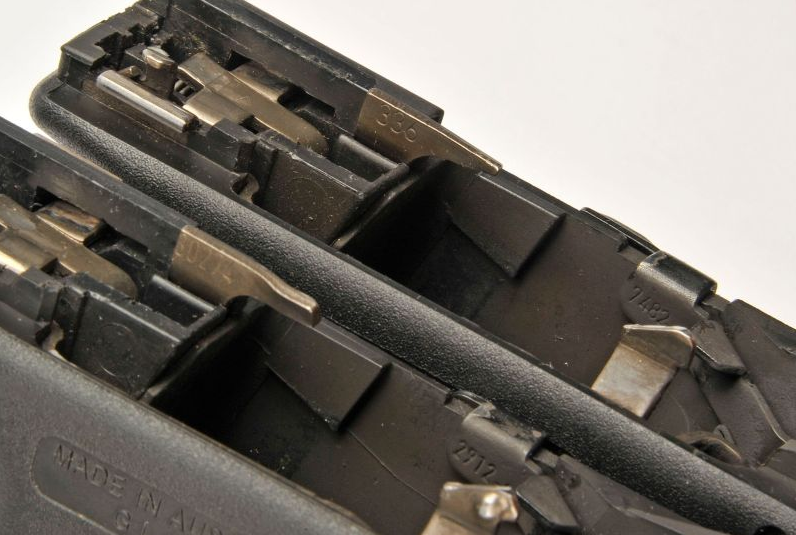 The Glock has an easy four piece disassembly process for cleaning and lubrication. The spring is integral to the recoil assembly and guide rod so there is no chance of inverting the spring incorrectly or losing it. Both Glock 19s have a 15+1 round capacity in their standard magazine and you can get purchase capacity magazines if you want (though this takes away from the concealability factor). Both come equipped with a Picatinny accessory rail on which you can mount a variety of different accessories from lights to lasers etc. 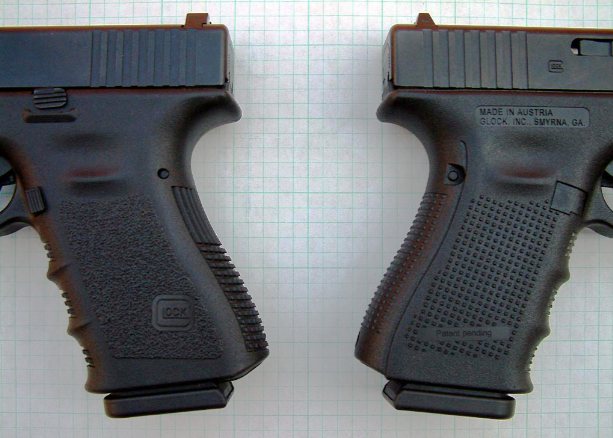 Both Glock 19 Gen’s have the same finger grooves and you can use the same exact holster for both generations, even if you’re using the different sized back straps of the Gen 4 – which I will explain about below. Though the list below might make it seem like there are many differences, they are really more noticeable to someone who has lots of experience with both. If you’re trying to figure out which to buy, most of the differences will likely not be as important to you, but they should still be considered. 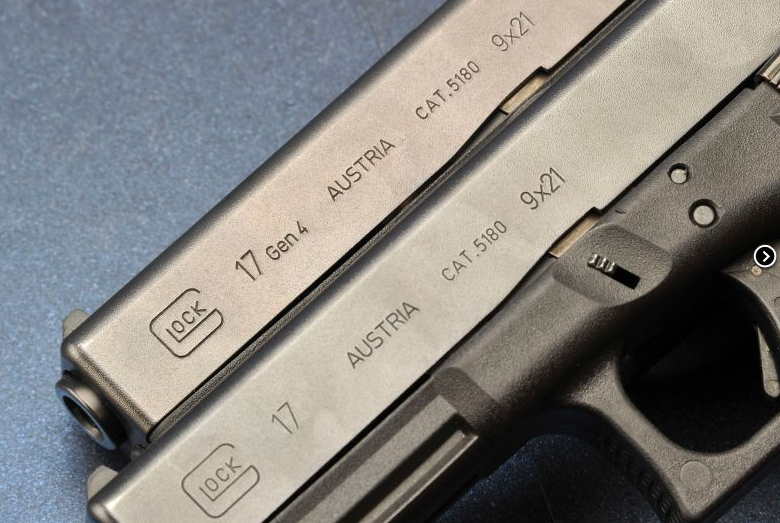 One of the first differences people note about the Gen 4 Glocks across all models (even if you’re holding a Gen 3 and 4 that at a close glance seem to be very similar) is the fact that the slide is stamped with “Gen 4” on it. Another easy way to determine if you’re holding a Gen 4 is to look at the guide rod right below the muzzle; the Gen 4, which uses a dual-recoil spring guide rod, has a larger hole. For those really paying attention, the slide and barrel finish are different between the Gen 3 and 4. This doesn’t really make much of a difference, but the earlier Tenifer surface treatment has now been replaced by a similar process that is faster and safer to apply (and is meant to be better for the environment). The metal surfaces of the Gen 4 are of a slightly different color, being a lighter and somewhat duller grey than their Gen 3 contemporaries. The recoil guide rod assemblies, as stated above, are different. Gen 3 features a single-spring guide rod assembly, and the Gen 4 has a dual-spring assembly. You can put a Gen 3 guide rod into the Gen 4 if you use the recoil spring adapter (it will not work the other way around). 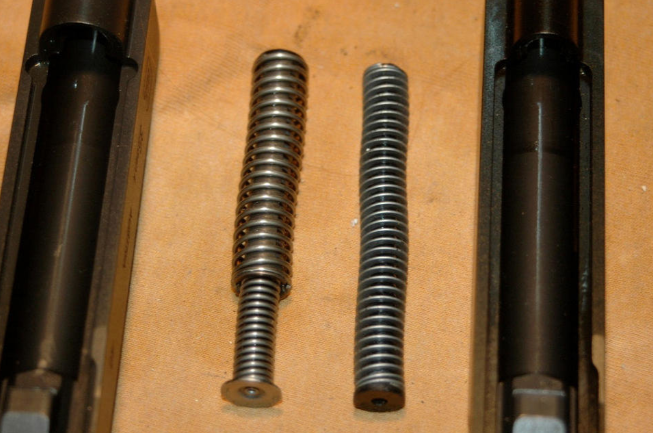 The dual recoil spring helps reduce the felt recoil and also increases the lifespan of the assembly because it isn’t working as hard as the Gen 3 single-spring. I personally do not find this recoil difference to be tremendous, and since I don’t do any competition shooting, I can manage fine with both. Still, any tiny help with accuracy and the reduction of recoil energy to the wrist sure feels nice when you spend a lot of time at the range like I do. 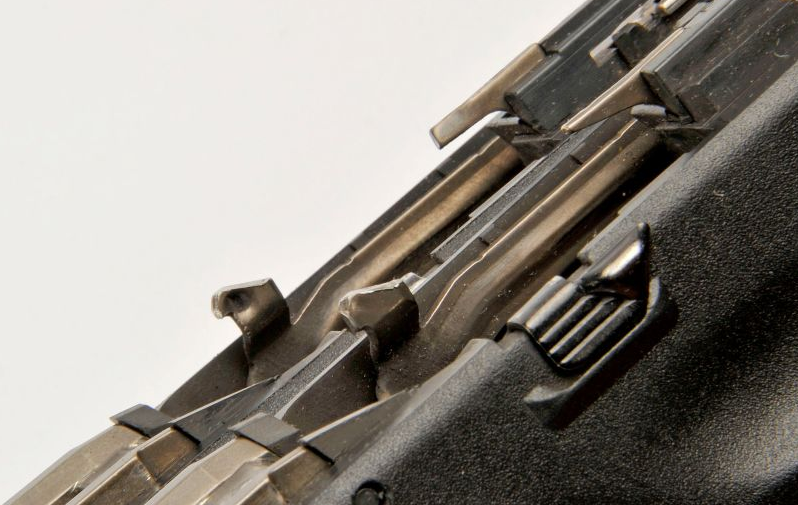 Inside the frame, the dust cover features a wider channel to accommodate this larger dual-recoil spring assembly. 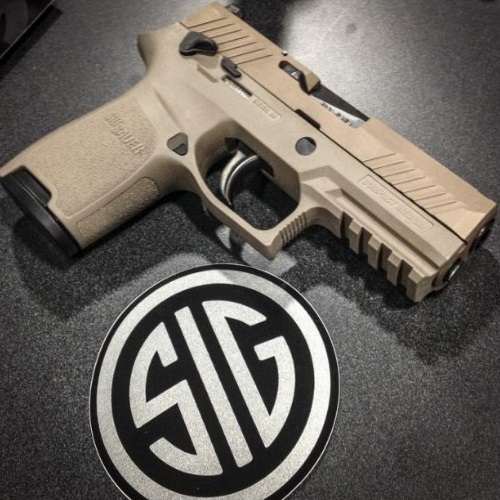 The texture on the grip is a little different, with a more aggressive rougher texture on the Gen 4 grip which helps slightly for a surer grip when your hands are wet or sweaty. This new checkering improves your grip and at the same time is still comfortable in long shooting sessions at the range, even without gloves. The trigger bars on the Gen 3 and Gen 4 models are completely different. The Gen 4 features a rounded bump on the part that deactivates the firing pin safety, though it is still compatible with previous generation guns This bump helps keep the trigger bar centered on the firing pin safety. This also makes the trigger pull feel slightly rougher and increases the weight of the pull (by an estimated half-pound). Some people really don’t like this, though I have never had an issue with it. You can switch out the Gen 4 trigger bar for a Gen 3 if you prefer. The trigger housings are different as well, though not drastically different. The Gen 4 has been redesigned to be compatible with the new and smaller frame, and the connector engagement angle is also slightly different. 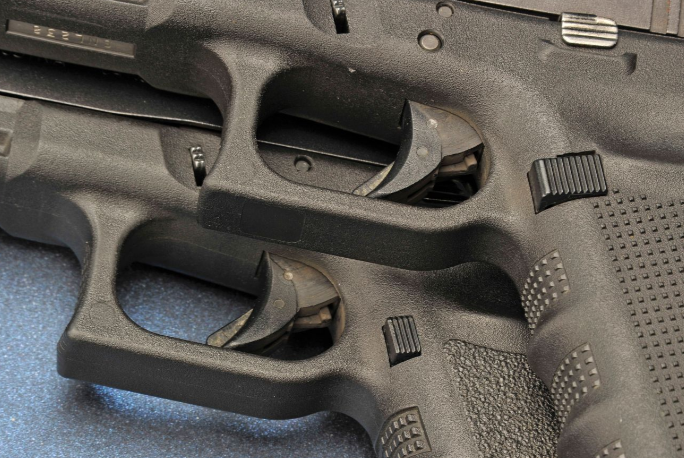 Because of this angle change, the connector features a modified angle to preserve the same trigger pull weight of the Gen 3 pistols. A Gen 4 connector can be used in a Gen 3 Glock, although it will alter significantly the weight of pull. The ejector was changed in the Gen 4 and can be swapped out between generations. However, it is not sold by itself – only with the trigger housing. I don’t see any real reason to do swap it out, though, as it functions just fine. Gen 4 models come with two extra, alternate back straps to help fit these Glocks comfortably into a wider range of hand sizes. The smallest back strap is integrated into the frame, reducing the trigger distance of the standard size Gen 3 frame by approximately .08 in, making it more similar to a 1911. The medium back strap will add approximately .08 in. making it equal the size of a standard frame. Finally, the large backstrap increases the trigger distance by a total of approximately .16 in. 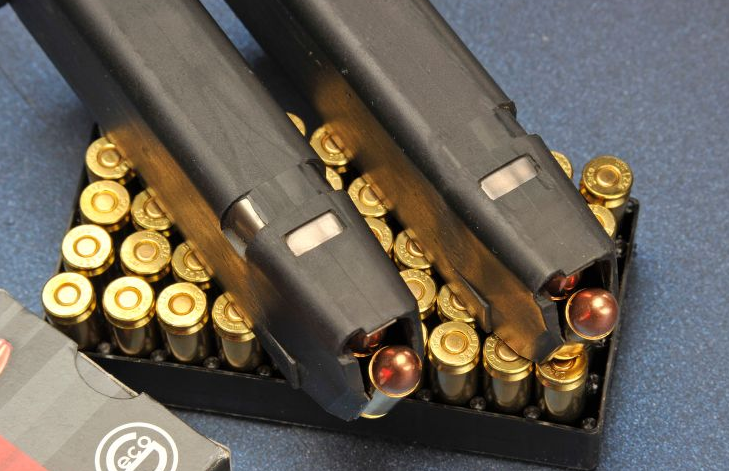 Gen 4 magazine release buttons are not only larger for easier releases but are also ambidextrous, so unlike in earlier Gens, these are now made to be as equally comfortable in right or left-handed shooters. The magazines of both are generally compatible with each other, although if you change the magazine release over to the right-side (for left-handed shooters), then the older Gen 3 magazines, which were built for standard left-sided releases, will not work. The Gen 4 magazine has a notch on both sides, whereas the Gen 3 has only on the left-side (so they are good only for right-handed shooters). The Gen 4, as a newer model, does cost more, but not by very much. The Gen 3 will run about $400-$500, with the Gen 4 coming in at about $100-$200 more in price – depending on where you’re purchasing from. These are Glocks we’re talking about here – that means rugged reliability, no matter what generation you own! The Gen 4 had some issues when it first came out (as do many new guns and earlier Glock Gens), but Glock quickly ironed those out. In general, the simplicity and excellent design of the Glocks, with so few parts to break down, have given them a reputation of durability that is well deserved. They function well in almost any condition and hold up to abuse better than their lightweight construction might suggest, which is one of the reasons why many civilians and law enforcement officers in the U.S. and around the world carry a Glock of one model or another. 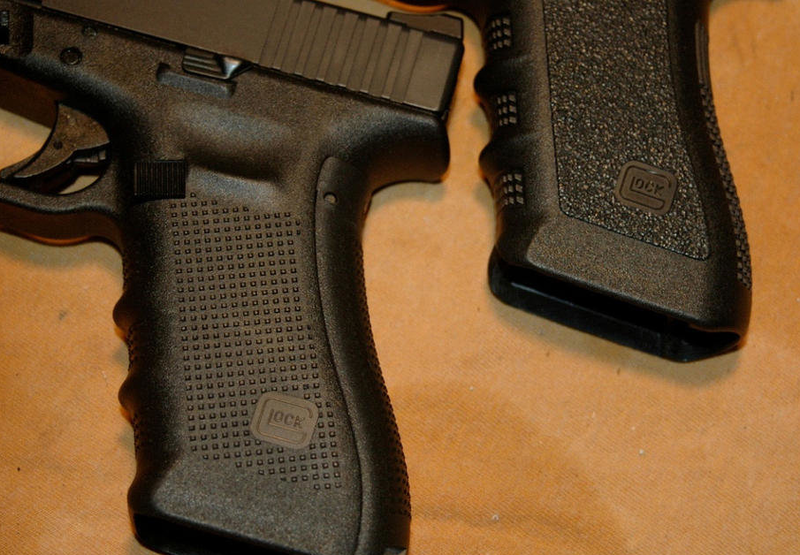 Just imagine if you take care of your Glock properly – it’ll function that much smoother. For me, the compact Glock 19, whether in Gen 3 or 4, is truly the Goldilocks pick of the Glock family. The 9mm bullet has enough stopping power for most practical self-defense needs. It isn’t too big for concealment, and weight-wise many will be comfortable carrying it. The Glock 19 also isn’t too small that you need to sacrifice much bullet capacity, grip comfort or sight radius. Also, most men and a large percentage of women can grip it and handle it properly and feel comfortable carrying it. Personally, since I’m right-handed, I never needed the ambidextrous option of the Gen 4, nor did my hand need a different back strap size to fit well, but I do like the more aggressive grip texture of the Gen 4 and the larger magazine release makes switching mags, especially when you’re under stress, much easier. Though the dual-recoil spring assembly doesn’t make much of a difference in a 9mm gun like the Glock 19, every little bit helps. I would be happy if I ended up with either one, but at the end of the day, if I had to choose, I would take the Gen 4. It truly boils down to a matter of taste. As always, no matter which you choose: as long as you are comfortable with your pistol choice and spend time becoming proficient with it, you’ve made a good choice. Both the Gen 3 and the Gen 4 also feature a plethora of accessory and modification options, making them as user-friendly as can be. Just remember to practice regularly to become the best shooter that you can be, and to always practice proper gun safety. It will also ensure that you’re confident in the handling of your weapon to be able to use it if ever you need to. The harder you train, the easier it will be when you’re in a stressful real-life situation to remember what to do and not fumble. That can be a real lifesaver. There is no wrong choice here, and I hope you’ll be happy with whichever one you get. Thanks for reading our Glock 19 Gen 3 VS Gen 4 Review – be sure to check back for more on all things guns here at Gunivore! Excellent presentation. Thanks for clarifying Gen 3 versus Gen 4. I feel well informed to make a decision. Kind regards. Thanks for all the info. Only real difference for me was the single vs the double spring. And even that isn’t a real concern thanks to your explanation.